Another feature that is worthy of checking out in Little Big Snake is evolution! You should ignore this one since it kind of relates to your snake’s abilities. Evolution is also a small given quest that you should complete if you want to earn more coins. 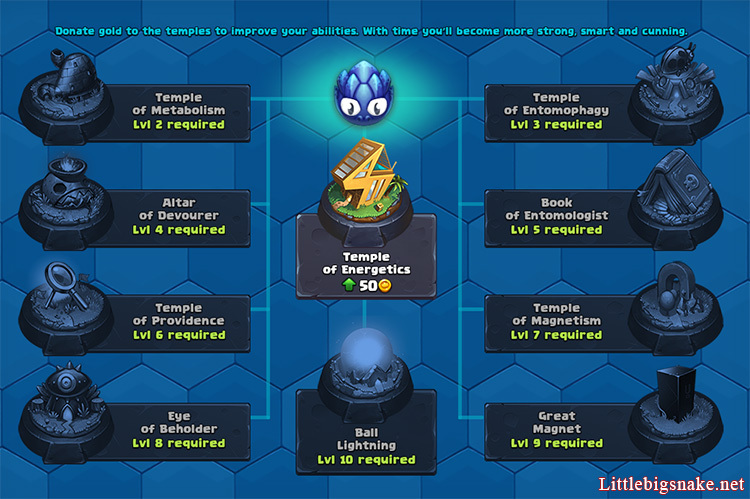 The main point of this feature is that you should donate your gold to the temples so that you can enhance your abilities. Through over time, surely your snake will become much stronger, aggressive, cunning and smarter. This sounds so great, right? So, make sure you evolve your snake gradually!